Home technology What is VPN and how it work ? What is VPN and how it work ? 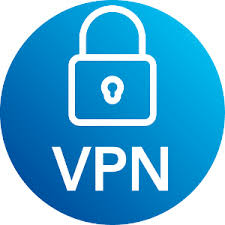 What Is A VPN ?VPN or Virtual Private NetworkA Virtual Private Network is a connection method used to add security and privacy to private and public networks, like WiFi Hotspots and the Internet. Virtual Private Networks are most often used by corporations to protect sensitive data. However, using a personal VPN is increasingly becoming more popular as more interactions that were previously face-to-face transition to the Internet. Privacy is increased with a Virtual Private Network because the user's initial IP address is replaced with one from the Virtual Private Network provider. Subscribers can obtain an IP address from any gateway city the VPN service provides. For instance, you may live in San Francisco, but with a Virtual Private Network, you can appear to live in Amsterdam, New York, or any number of gateway cities. Why do I need a VPN? Hide your IP addressConnecting to a Virtual Private Network often conceals your real IP address. Change your IP addressUsing a VPN will almost certainly result in getting a different IP address. 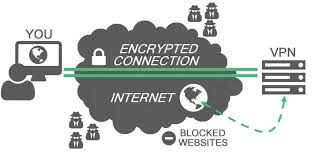 Encrypt data transfersA Virtual Private Network will protect the data you transfer over public WiFi. Mask your locationWith a Virtual Private Network, users can choose the country of origin for their Internet connection. L2TP/IPsec - L2TP over IPsec is more secure than PPTP and offers more features. L2TP/IPsec is a way of implementing two protocols together in order to gain the best features of each. For example, the L2TP protocol is used to create a tunnel and IPsec provides a secure channel. These measures make for an impressively secure package. 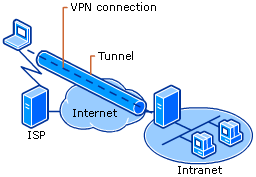 Open VPN - OpenVPN is an SSL-based Virtual Private Network that continues to gain popularity. The software used is open source and freely available. SSL is a mature encryption protocol, and OpenVPN can run on a single UDP or TCP port, making it extremely flexible. Virtual Private Network ProvidersThere are many choices when it comes to VPN providers. There are some Virtual Private Network providers who offer free service and there are some which charge for VPN service. We have found that the paid VPN providers such as VyprVPN are preffered to the free service providers. Paid VPN providers offer robust gateways, proven security, free software, and unmatched speed. Compare VPN Providers using the data our friends over at VPN.com have compiled to find the right VPN for you.